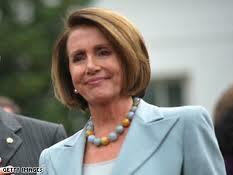 Nancy Pelosi has to approve any deal in the lame duck! I want to see the GOP Senators get up on the floor of the Senate and filibuster this bill. They may keep the 2 million unemployed from getting their benefits, but the Dems can use those floor speeches to write copy for candidate ads in upcoming elections. I hope the tax cuts expire as they were intented to. All this working for the rich was paid for by campaign donations and by lobbyists' payola. Make them work it and make it public.